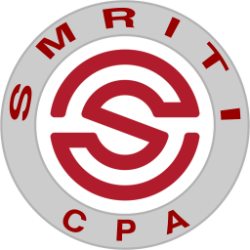 At Smriti CPA LLC, we understand that every business owner needs timely access to accounting information. A good set of books is the basis for many key financial decisions, including tax planning. With our guidance you will have all the financial information you need to make the right decisions for the short and long-term success of your business. We will help set up your books, provide guidance and get you going on the right track from the beginning. We can handle all your bookkeeping needs ourselves or we can train you to handle this yourself, in an understandable way. Our CPA firm will take the time to get to know your business so we can become a true partner with you. We provide a range of small business accounting and bookkeeping services that can be personalized to meet your specific needs. Please call our office at (682) 597-6680 for any questions. If you would like to schedule a free consultation, please click here.